Did Scheana find a way to put her fears about Rob to bed? 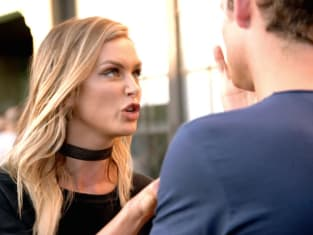 That was her plan on Vanderpump Rules Season 6 Episode 7 when she spiraled out of control in the aftermath of Rob pulling away from her. Lisa Vanderpump was forced to step in when she realized her friend and employee was getting close to the brink. Meanwhile, Stassi dressed the staff for SUR at the annual Gay Pride celebration, but who did she argue with? Get caught up on all the latest drama now.